Living... in a sea of masculinity. Her lunkhead husband Tim and their three sons, Brad, Randy and Mark give the house a “grunting to show approval” vibe. It’s up to her to remind them to be civil. Profession... full-time student pursuing a Master's Degree in Psychology and a full-time mother, taking care of her sons and her childish husband. Interests... opera, theater, and ballet. Jill has a softer, more artistic side that is often at odds with Tim’s over the top, hyper-masculine pigheadedness. She feigns interest in his love of tools and sports but in reality, she could not care less about how much horsepower Tim is cramming into his new muscle car. Relationship Status... married to Tim. They give each other a hard time, but mostly in jest, and generally are happy together. Tim makes fun of her for not being excited about his inventions, and she makes fun of him for breaking everything. He says, "You don't understand the intricacies of the male mind," and she hits him right back with, "Explain it to me, I've got a minute." Challenge... managing her family. 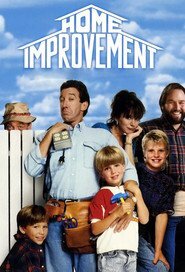 The three boys fight with each other, and Tim is always throwing their house into disarray with his construction projects. It’s usually up to Jill to pick up the pieces. Personality... practical, intelligent, and skeptical. Jill is the problem-solver of the Taylor family, constantly having to keep everyone in check. She has a very different approach to parenting from Tim, but sometimes opposites attract and give their kids a well-balanced upbringing. Jill Taylor's popularity ranking on CharacTour is #4073 out of 5,000+ characters. See our top-ranked characters and read their profiles.